If you are thinking about retiring in Florida, one active adult community that you will want to consider is The Villages. 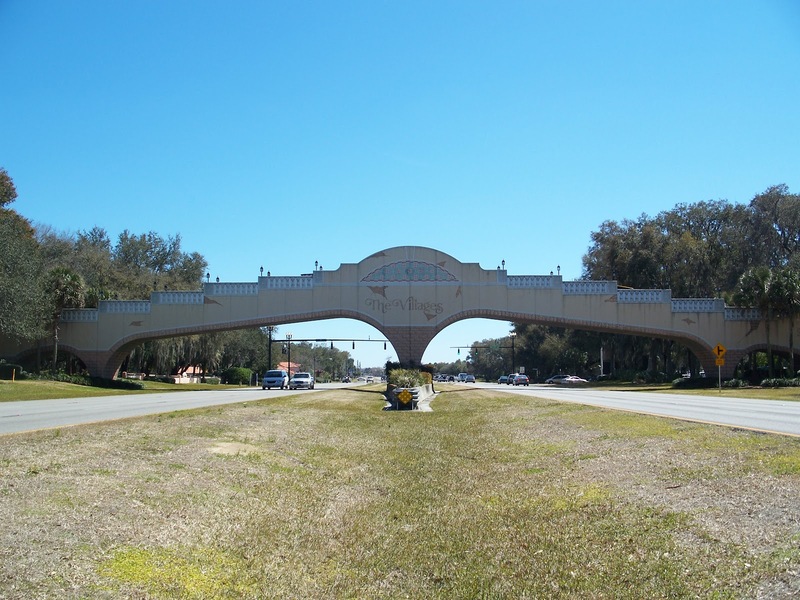 This master planned age-restricted community is located in Central Florida about 45 miles northwest of Orlando. This is an ideal location if you have adult children and grandchildren who will be visiting, because they will enjoy the proximity to Disneyworld and the other Orlando theme parks. However, making it easy for your relatives to go to Disneyland should not be the only reason to consider The Villages! As of 2010, the population of The Villages was 51,442. 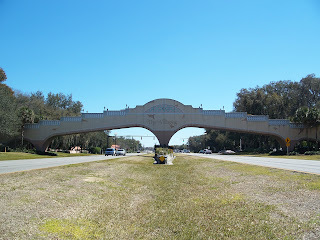 It is the largest age-restricted community in Florida and the fastest growing small town in the United States. The Villages is made up of a number of subdivisions or neighborhoods. Nearly all of the neighborhoods qualify under the Housing for Older Persons Act, which means they are restricted to individuals or couples with at least one person who is age 55 or older residing in the home, and no one under the age of 19 living in the home for more than 30 days within a calendar year. However, there are three subdivisions in The Villages that do allow children under the age of 19 to be permanent residents. Overall, about 40 percent of the residents are between the ages of 45 to 64, and over 57 percent of the residents are age 65 and older. The median household income is about $45,000 to $48,000 ... well within the means of many couples on Social Security with little additional income. The types of homes available in The Villages include manufactured homes, single family homes, and attached homes. Development began at The Villages with a group of manufactured homes in the late 1970’s. Today there are manufactured homes as well as cottages, patio villas, ranch homes, courtyard villas, designer homes and premier homes. New construction and pre-owned homes are available for sale in The Villages. Typical home prices currently range from about $140,000 to over $350,000, although homes can be priced for less than $100,000 or for over $1,000,000. Some examples of the homes that were available for sale in 2012 were single-family homes with two bedrooms and two bathrooms in the $140,000 to the $160,000 price range, and three bedroom homes starting at $160,000 and going up in price from there. For buyers who are interested in purchasing a second home in The Villages, there are even some homes for sale that come fully furnished. Since this article was originally written, a large sinkhole developed in the Villages and had been repaired. It made two homes uninhabitable and it is always possible that additional sinkholes could affect more. Sinkholes are a recurring problem in Florida. It was also an issue in an article I wrote about Timber Pines, a retirement community in the Tampa Bay area. Sinkholes do not necessarily mean you should not move into a community. Most sinkholes can be dealt with by pumping a cement-like substance under the home as soon as a sinkhole is detected. However, this is not always the case. If you decide to buy a home in Florida, whether it is in The Villages, Timber Pines or any other community, you may want to have it checked for sinkholes before finalizing the deal. This is particularly true in a band across the center of the state, moving eastward from Tampa and through the Orlando area. The Villages has a wide variety of activities to offer retirees. One of the most popular features of The Villages is the concept that residents can play “Free Golf for Life.” However, the cost of golf is actually included in the homeowners’ dues, so technically the golf is not actually free. The Villages operates 39 golf courses, 29 of which are nine-hole executive courses. Those 29 courses are free to play as long as you walk the course. There is a charge for using a golf cart. If you play one of the ten country club style courses, you are required to pay a greens fee. In addition to golf, The Villages has a large number of swimming pools and courts for bocce ball, horseshoes, shuffleboard, tennis, basketball and pickleball. There are also fitness centers (some of which require residents to purchase a membership), and theaters with stages to accommodate live performances. Residents may also want to take advantage of the softball fields, polo stadium, woodworking shop, hobby and craft studios, ballrooms or the Lifelong Learning College. There are several catch and release fishing lakes on the property. There are approximately 1000 clubs including clubs for people who enjoy bird watching, astronomy, photography, SCUBA diving, or who wish to support their favorite college or pro sports team. The community also contains two town squares which contain movie theaters, shops and restaurants. There is free entertainment nightly in the gazebos of both the town squares. A third town square has recently been completed. The community is completely self contained with post offices, banks, restaurants and a wide choice of recreational opportunities. In addition to the fitness centers located throughout The Villages, new residents can feel reassured that medical care is conveniently located within the community, as well. Local facilities include The Villages Regional Hospital, Moffitt Cancer Center, a VA outpatient clinic, a long term acute care hospital and senior living facilities. Several doctors and dentists also have offices in The Villages. If you want more information about The Villages, you can call 1-800-245-1081. If you want to read more about other areas to retire, as well as find additional retirement information, use the tabs or pull down menu at the top of this page and you will find links to hundreds of other retirement articles, including articles on a number of other places to retire.